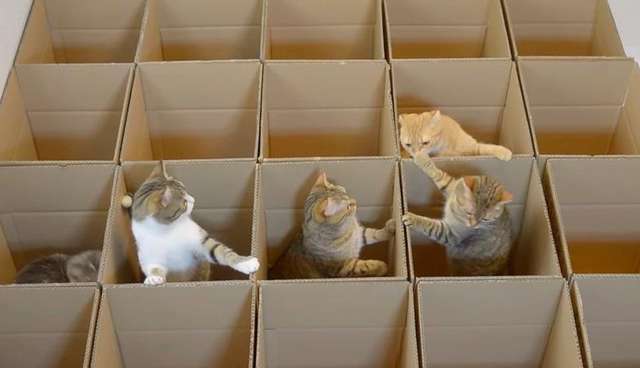 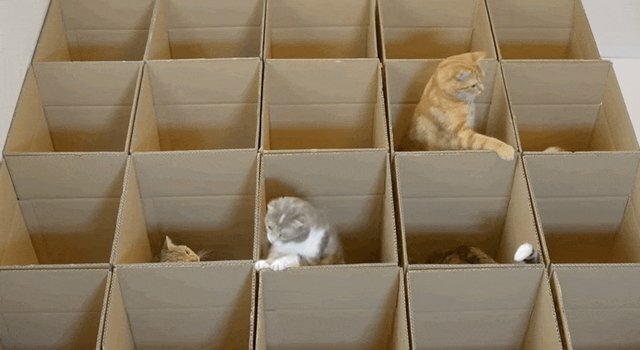 These lucky cats got an entire room of boxes to play in - there are so many they almost don't know what to do. 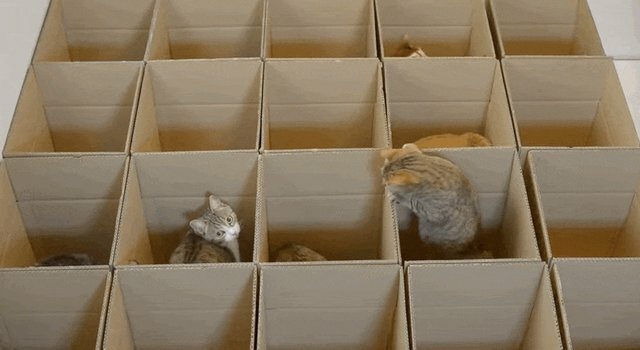 Look at their adorable little faces popping up out of the boxes. 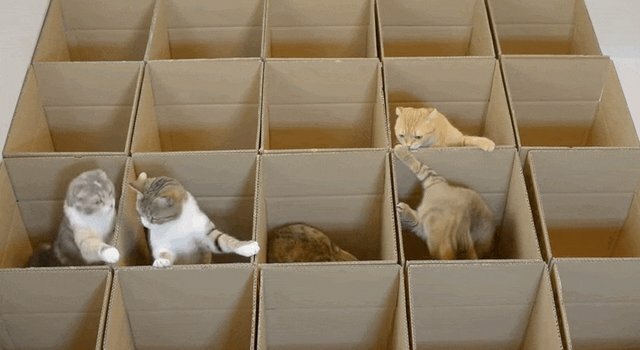 Cats and cardboard boxes are truly a love affair for the ages - check out more cats who love boxes.